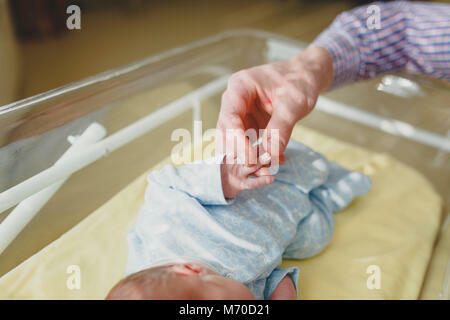 Newborn baby's feet and man's hand. Epiphany. 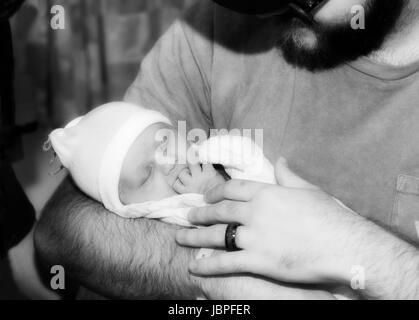 Denver, Colorado - Adam Hjermstad holds his two-week-old son, Adam Hjermstad Jr.
Young man kiss a newborn, he holds gently in his palms. Family, healthy birth concept photo. Close up.